At this moment of writing there are 23 people working at Anurak Lodge. 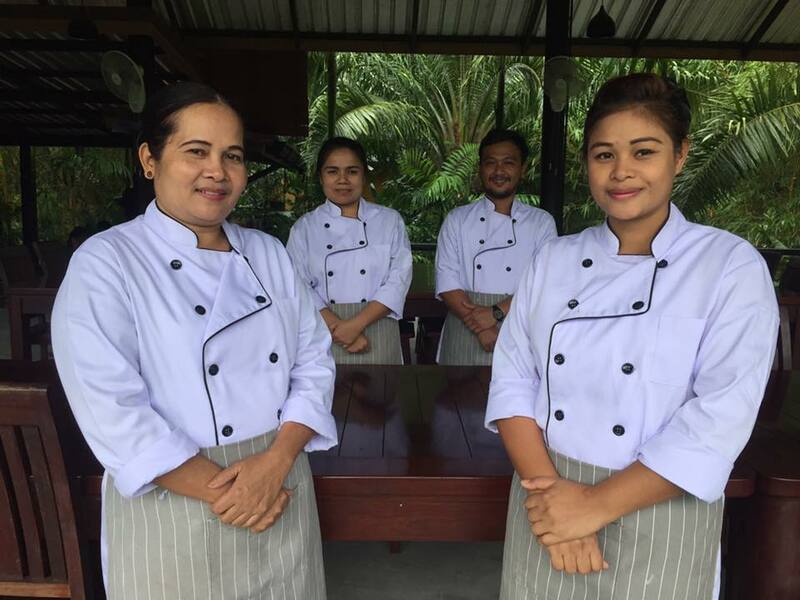 Most of the Anurak Lodge staff come from the nearby village which is just across the road. When we opened the lodge very few of them had any experience in hospitality. We have put great effort in training our staff and very regularly organize staff meetings to discuss improving our services to guests, find solutions for problems that have occured and so on. We have occasionally invited hospitality experts for seminars about serving guests, improving the quality of our food and working on efficiency across the board. This is an ongoing process. We are very proud of the achievements of our staff and we support them and their families. They are very dedicated and hardworking. They do everything they can to make our guests happy. Below is just a collection of comments we have received on the performance of the remarkable people making your stay at Anurak Lodge to such a special one.